And so it ended, not with a bang but a whimper. I was the last person eliminated before the final 14. When I was asked to turn my apron in, the only people looking on were winners- people who would go on competing, learn new cooking techniques, meet famous chefs, and have a chance to write their own cookbook. And yet, as I walked out of the best kitchen I'd ever set food in, I was kinda relieved. 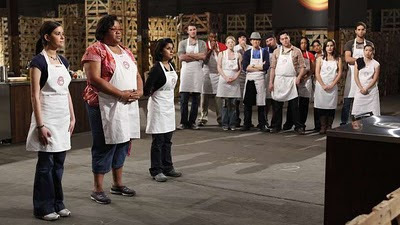 Don't get me wrong- at the actual moment Chef Ramsay asked me turn my apron in, I felt like I'd been kicked in the stomach. There are pictures to prove it. But as soon as I walked out, I felt strangely calm. When asked what I would do with my life now that I had been eliminated, I gave them a puzzled look and said, "Go back to being an attorney," in my standard, matter of fact way. And that's exactly what I did. Because that's what was expected of me, and really, what I expected of myself. See, I didn't grow up in a house where cooking was venerated. My mom cooked and she was a great cook. But that was almost expected. In almost every immigrant family I knew, the mom cooked and she was a great cook. When I told my parents I was doing the competition, they were flabbergasted. They couldn't comprehend that they had sacrificed everything to give me a better life and I was jeopardizing that to try to be a chef. And truth be told, neither could I. On the show, I was surrounded by people who were truly passionate about cooking. They could poach an egg in their sleep, top it with wine-braised mushrooms, and never dream about over-scrambling it. They quit their jobs, dropped out of school, and otherwise changed the way they lived to prepare for this experience. I, on the other hand, happened to be a decent cook who continued to live my life like this was no big deal. Even the morning before I flew out to LA, I was at work at 6:00 a.m., emailing clients, and leaving instructions for my absence. So it wasn't all that surprising that I wasn't chosen as one of the fourteen best home cooks in America. At that time, I didn't deserve to be. Enough time has passed that I'm no longer sad. More, nostalgic. 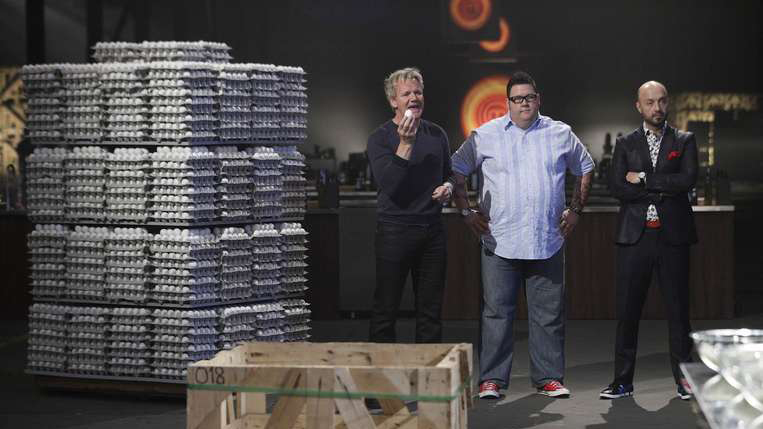 A lot of truly great things have come about as a result of MasterChef. The experience inspired me to roast my first chicken, led to my first official catering gig and spurred me to document my cooking adventures on this blog. Heck, I even got to cook on the local Fox morning news. I've made new friends and surprised the people at work by actually having a hobby that does not consist of litigation. Most importantly, I realized I'm not ok with just being a decent cook. I want to work to be an awesome cook. Maybe even a master chef, someday. And that realization may be worth being the last person eliminated. PS: Today is the last day to enter my giveaway! What are you waiting for? 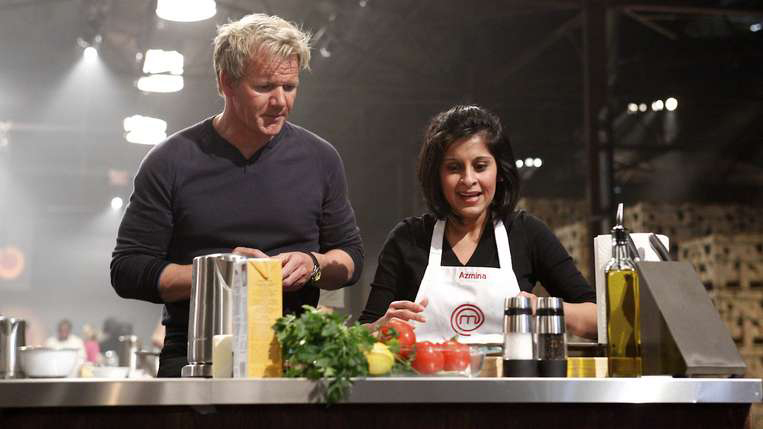 But you were definitely top 24, with the biryani Ramsay was waiting for all his life! Congratulations on the new hobby. You rock! You did a great job on the show, but I totally get what you're saying. At some point, you have to make a choice about life. It's just great that you put yourself out there and took the chance. You are such an inspiration Azmina...to step outside of your comfort zone, to fly to a whole other state, to go head to head with Gordon Ramsey on TV? Well I am really just in awe. Isn't it funny that our parents generation were expected to learn to cook and do it well? And then our generation flaunts the fact that we can boil an egg (or I do anyway). Every experience brings good. Good Luck with everything! I've always said that everything is worth trying, so long as you can walk away from it with either a) a really entertaining story or b) a better understanding of yourself. Obviously you've achieved both those things, and then some. Azmina, you're a winner in my book. You're passionate about cooking and I can see that. What an experience. Like litigation you win some and you lose some but you must move on. Great job! Azmina, your experience has complimented who you are and the way you have handled yourself is just a testament as to the wonderful person you are. I was SO rooting for you. Best of luck with your culinary adventure! No matter what has happened, remember all those people you beat out to get onto MasterChef. That in itself is a huge accomplishment. And to get such a compliment from Chef Gordon Ramsay? Well, I cannot even put into words how proud I am of you. I'm really glad you took the chance and enjoyed your journey. Like I mentioned before, always walk with your chin up my friend cause you are a huge inspiration Azmina! You rock! When I was watching the show I kept thinking "Damn this is intense!" I'm so impressed with how well you handled the pressure. I'm glad you are staying positive and thinking about the doors that did open after the show. I stress out way to much, you have definitely inspired me. Things are always meant to be and always turn out for the best! You are a great inspiration to all of us out there, many of us wouldn't even have the guts to audition. I think you are absolutely amazing and I loved watching you! You certainly impressed Ramsey and everyone else. Keep pursuing your passions! (I think I was one of the few whose mother's did not cook - she can turn on a stove but only to boil water for tea. No joke). I think it was fantastic that you gave it a try when most are just watching and with that you have gained so much more than most people would in this culinary journey! I am so freakin' proud to say that I "know" you, even more so after this post than anything. You had such an awesome experience and did something that I'd never have the guts to even attempt. Bravo! I saw your elimination and was so bummed that I don't get to watch you in future episodes (your voice did not sound cartoonish at all BTW)! Still, what an amazing experience and your perspective is so grounded. Cheers, to whatever adventure is heading your way next! Hey, you still have plenty of time to be one of the best home cooks in America! Plus, why do we always want to be 'the best'? I would expect that you're probably a darn good cook to be so food focused and to have gone on this show/have a blog, etc. That's all great as it is-me thinks?! Just happened on your blog!!! I am so enjoying Master Chef....What an honor to have been on the show! It looks so very difficult! Oh shucks! I was rooting for you. I don't have a TV so I was following your blog to find out what happens. You're awesome! You are amazing to me...such a great attitude! And I think it is incredible that you were selected to be on the show. You are talented and personable and beautiful...so it really should be no surprise! Oh my gosh! I don't know where i've been but for some reason I thought you didn't get on the show and here I was watching you the other night and didn't even know it! I was telling my husband all about you and how I wished you had made it on the show and you were right in front of me!!! Great job, girl! sooooo proud of you. What a great attitude and spirit you have. Wow Azmina! What a ride! I certainly enjoyed it vicariously. I know that you can accomplish whatever endeavors you aspire to, whether it be famous chef or famous attorney or both! And remember, that even cooking as a hobby will give you a lifetime of pleasure! WHAT?!? You were on tv and I missed it?!? I will have to go watch it on hulu. Very impressive, no matter how far you went! I'm glad you are happy to be home! Us lawyers, we were meant for greater things than reality TV. Trust me. In other news, you should post your Biryani recipe if you haven't. We need to know what had Gordon all aflutter. And everything that came afterward...it seems pretty nice too. Great job. Really enjoyed cheering for you and love the way you wrapped this up! What a fabulous attitude to take toward that amazing experience. Good for you. I read through this last night, but didnt get a moment to leave a comment! I think your attitude about the whole thing is amazing, and that you can obviously appreciate the experience and opportunity while keeping it all in perspective, which is great. I am sure that you gave it your all and we are so proud of you! (hm, that sounds slightly mother-ish, but it is still true nonetheless) I can't wait to see what other challenges you take on in the future! I was totally impressed by your dish! 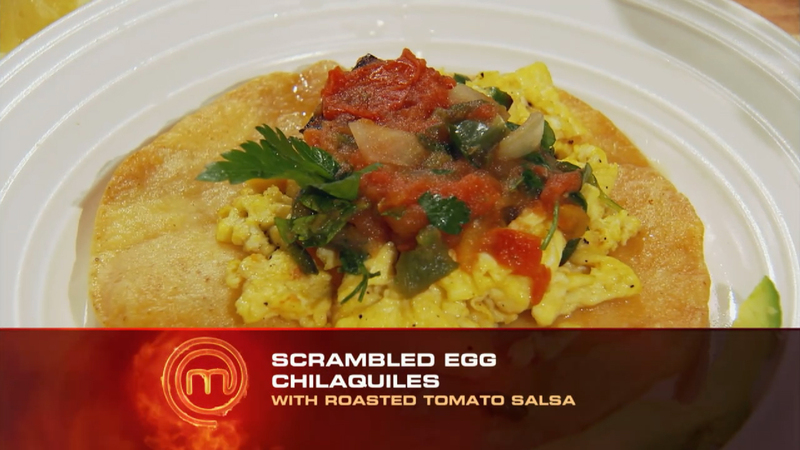 If they gave me that challenge I'd present scrambled eggs with a couple veggies in it that they would probably spit out. Just to be standing in front of them and get that far is so impressive! You went through the grinder and you came out in ONE AWESOME PIECE!!! You're my hero and I'm proud to say "I know her!" I would have cried long before I got eliminated :P I don't handle stress well at all *blush* You are magnificent Azmina!!! 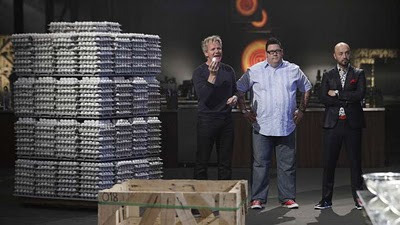 Congratulations for attempting something really challenging that most would not have the guts to go through, I think Chef Gordon Ramsey is one scary dude! I am so proud of you the way you handled everything. I cannot handle stress very well. Every time they show your face on TV I get excited and I tell my husband "that's her, that's her. And OMG, what is in the Biryani that you cooked that Gordon Ramsay said he's been waiting for this for a long time and bear hug you like that. I'm sure everybody want to see the recipe here on your blog. Cheers dear. Hey Azmina, I'm just here to let you know that I have seen agar agar in panna cotta type recipes! I am SO proud of you Azmina! I can imagine your relief, in a way. being on a show like that sounds incredibly successful and then I feel like the further along you get, the harder it is to justify returning to your old life at the end of it. Personally, I'm super glad you started this blog otherwise we never would have "met"! Congrats on getting as far as you did! You were great on the show and at least had an incredible experience. Good for you for taking the chance! Wow - this blows me away. I cannot believe you went on the show...what an amazing experience for you. I really admire you for that. I just finished watching this episode and am so impressed with everything you accomplished. I am also impressed about your mature outlook and take on it all. Don't forget - your biryani ROCKED!!!!! It was fun watching you! What a great experience and it was so fun to read about it! :) Thanks for sharing. Dear Azmina - My DVR recordings are testament to the fact that YOU did a GREAT job on the show! I kowtow to your cool under incredible stress....I bet it's the lawyer in you!!! I totally get that you really took a big chance and now you can breathe again and get on with your life. I loved watching you...atta girl!!! I really love how you have put your thoughts across. You really are an inspiration to me! And as you already said, you did not leave empty handed. You have gathered so much from this experience! Great outlook and perspectives on it all. You should be really, really proud of where you got to. Lawyer Loves Lunch should be a testament to how far you've come since the casting call. Congrats again, and I look forward to seeing you continue your personal journey to become a master chef. You got a hug from Ramsey! You got inspired ! You met awesome people! Wow thats an experience! Good Luck with LAW, LIFE and LUNCH! I just knew your name! Azmina-what a beautiful name! You're a master chef to me. You did a great job and had come this far. I admire you. Good luck on the new gigs! It is a wonderful achievement. Wonderful! You know-- I'm a lawyer by trade as well :) I know what it's like to want to give it all up and stay in the kitchen cooking wonderful tasty treats! I was wondering how the eggs might be still cooking from the wait of turn. I know exactly what you mean- I grew up in the same sort of culture. Cooking was normal, not extraordinary. Being a lawyer on the other hand was a goal. I reached it. And I myself find cooking normal. If I had two of me, one would be a cook, but in the meantime, the one I have stays a lawyer. A) you were on Master Chef? HOW AWESOME is that!? C) I know what you mean. Its the middle eastern standard. ;) Start a bakery? When you have all these opportunities?! lol I loved how you responded oh so matter of factly "Go back to being an attorney,"